The crooked smiles and off-beat mannerisms of Seuss’s creatures are like a window into ourselves and those around us; and this became true of all Seussian creatures throughout his entire career. Dr. Seuss never meant this as a literal translation, but rather something more profound. He instinctively infused his creatures with real emotions, so much so that we never got lost in wondering if we (or those we know) look like his characters. Instead, his real genius was that we were swept up in feeling like his characters. The crooked smiles and off-beat mannerisms of these creatures were a clear window into ourselves and those around us; and this became true of all Seussian creatures throughout his entire career. Dr. Seuss’s rich sculptural heritage began in the early 1930s when his creative bounds expanded to include an inimitable collection of invented “taxidermy” animals, fish, and other Seussian creatures. These works comprise what is now known as the Collection of Unorthodox Taxidermy and its sub-collection The Marine Muggs. Limited edition reproductions from this collection are some of the most sought-after works from Dr. Seuss’s entire catalog of images, with the majority of these editions now sold out. 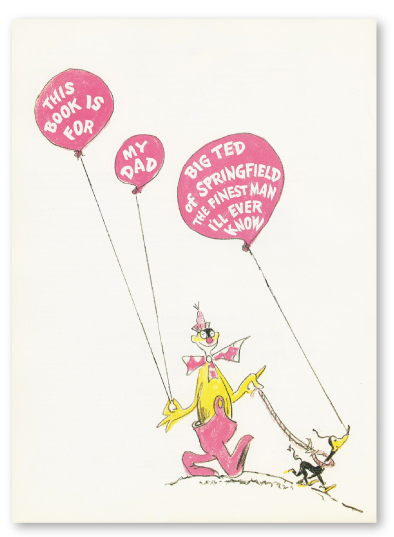 Ted Geisel (aka Dr. Seuss) grew up within walking distance of Springfield’s Forest Park Zoo. When he was just 5 years old, his father was appointed to the Springfield Parks Board, with the Zoo falling under board direction. No one could have imagined the profound impact this turn of events would have on the future transformation of Ted Geisel into a worldwide phenomenon. His dad’s new post allowed Ted behind-the-scenes access to the Forest Park Zoo. Dr. Seuss’s love for drawing animals played out in the magical creatures that populated his early drawings, paintings, and various commercial projects. Their evolution crescendoed in the 1930s as Ted transformed his characters into three-dimensional sculptures in what he called his Collection of Unorthodox Taxidermy, bringing these characters into the physical world for the first time. 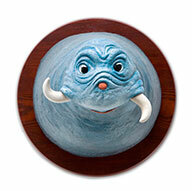 A fascinating correlation exists between Dr. Seuss’s two-dimensional animals and his sculptural inventions. 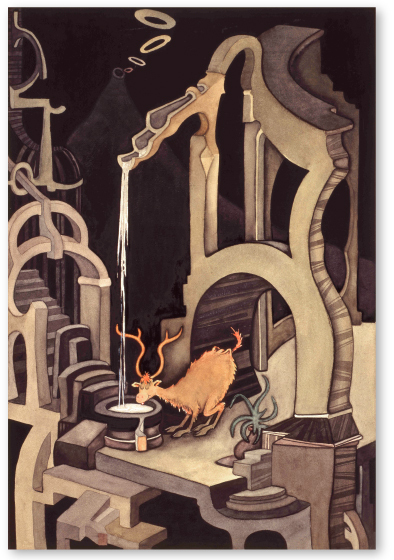 It’s as if Seuss’s images leapt from the drawing board into three-dimensional incarnations, then seamlessly back to his myriad of books, artworks, and whichever commercial project was nearest at hand, with each artistic medium informing and influencing the other. 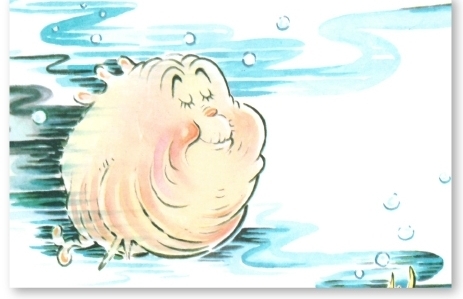 Most notably, a character reminiscent of the “Powerless Puffer” appeared in Dr. Seuss’s artistically groundbreaking children’s book, McElligot’s Pool. Artworks from that book, such as Racing North to Get Cool and “Sawfish with such a long snout that he needs an assistant to help him about!” highlight a Puffer-like character in various sea-going activities. Additionally, a character similar to Dr. Seuss’s now sold-out Sawfish sculpture makes a two-dimensional appearance alongside his Puffer-like assistant. Ted Geisel and Standard Oil enjoyed a 25-year advertising relationship that saw the Geisels through the Great Depression and also allowed Ted to indulge his artistic creativity. For the January 1937 National Boat Show, he topped himself by presenting his personal collection of seven Marine Muggs sculptures in the Essomarine booth, marking what is believed to be the first public exhibition of these Marine Muggs works.